Over the past few months I have been conducting an online survey investigating the types and frequency of injuries sustained during kayaking and canoeing. In my search of the literature, I was unable to find any similar previous studies or data. Thank you to everyone who responded to the questionnaire – it has provided our paddling community with what I believe is the first review of injuries related to the sport. This in turn will help paddlers, coaches and healthcare professionals to devise strategies to treat and prevent these problems. We know that kayaking is male-dominated and this was reflected in the people who responded to the survey. Of the 269 people who completed the online questionnaire, 188 (70%) were male, 67 (25%) were female and 14 (5%) didn’t state their gender. It was good to see that there was a moderately good spread of responses across the ages as depicted in the graph below. As I promoted the survey on local paddling pages on Facebook, predictably, most responses were from Ireland (47%) and the UK (38%). 7% were from the rest of the world – including Australia, New Zealand, Canada, USA and France. 8% didn’t state where they were from. What type of kayaking and canoeing was involved? Paddlesports are very diverse in nature and it is likely that the injury profile of a flatwater paddler and a Polo player are quite different. This survey was designed to be quite general and to pick up what injuries were occurring across as many disciplines as possible. The most responses were from marathon racing, whitewater and flatwater paddling. However it should be noted that many people engaged in a number of different types of canoeing. Of these, 77% paddled competitively (either currently or in the past) and only 23% never paddled competitively. What type of injuries were reported? The shoulder and arm were by far the most common area to be injured during canoeing. In fact 52% of respondents reported having a shoulder injury at some stage in their canoeing career. Wrist and hand / fingers were the next most common (38%) followed by low back (26%). To put this in context, typically in a general population, the most common musculoskeletal pain or injury is low back pain followed by neck pain followed by shoulder pain. Shoulders were also most often rated as the most serious injury and as requiring treatment by a healthcare professional. Low back pain slightly overtook wrist and hand / fingers when respondents rated the seriousness of the pain or injury and the need to attend for treatment with a healthcare professional. The chart below shows the distribution of responses across the different body areas. What contributed to or caused the injuries? Given the limitations of this survey and the diverse range of responses from different disciplines, it was not possible to draw firm conclusions about the contributing factors. Whitewater paddling accounted for proportionately the most injuries followed by marathon racing. However the numbers were too small to apply meaningful statistics. As expected there also appears to be a relationship between increased age and injury. The relationship between other types of training and injury was also difficult to unpick. However when I categorised paddlers into those who carried out at least 1 hour of stability, flexibility / yoga / Pilates per week or those that did not, the incidence of pain and injury was significantly higher in the group who didn’t carry out this form of additional exercise. I have written about this subject previously and from the huge amount of traffic that my blogs on this subject have attracted, I was interested to find out the extent of the problem amongst paddlers. Overall 58% of respondents reported numbness, pins and needles or cramping in the legs when they paddled. It is certainly a significant finding that most people who kayak or canoe have to put up with some symptoms of numb legs. Luckily most people only suffer occasionally. However this still leaves a significant proportion of paddlers who experience these symptoms most times or every time they paddle. This survey obviously has limitations in its scope and the conclusions that can be drawn from it. 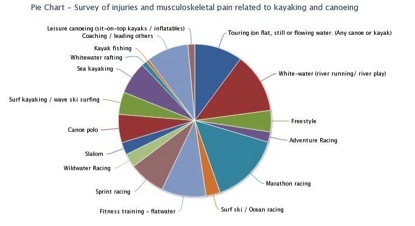 However it is a good first step in identifying the injuries and musculoskeletal problems experienced across a fairly diverse range of kayakers and canoeists. 1) Don’t overtrain. The rotator cuff tendons are the most commonly affected structure in painful shoulders. Tendons don’t like change. Therefore, probably the most important factor in preventing tendon injuries is to strike the right balance between training to overload and develop the shoulders without overdoing it. Pain is probably our best guide here. Training should be hard but not painful. Suddenly overloading the rotator cuff tendons with a large increase in load may cause them to react and become painful. Therefore build up steadily and gradually. Do not increase mileage or intensity by more than 10% per week and allow sufficient recovery time. 2) Optimise your technique. Spend time with a coach and / or on an erg paddling machine to make sure that your stroke is as efficient and biomechanically correct as possible. This is something that is much more difficult for those of us who have taken up paddling later into adulthood compared to those who took up the sport (and gained good coaching) as children. 3) Work on flexibility. If you are stiff and restricted in your thoracic spine (trunk) and have tight hamstrings and hip flexors, it is very difficult to sit in an ideal upright posture in the boat. Carrying out a series of exercises or perhaps attending a regular yoga or Pilates class can help. This will also make it easier to improve paddling technique. 4) Carry out rotator cuff strengthening exercises. Given that the rotator cuff is the most common structure in the shoulder to be injured, it is important to keep this important sling of muscles as strong as possible. A Chartered physiotherapist can prescribe appropriate exercises or you could attend a Rotator cuff strengthening class. You can learn more about rotator cuff rehabilitation here and strengthening classes here. Weight-bearing exercises (such as plank, side plank and other plank variations) are a fantastic way of building strength and stability in the shoulder. However always remember to build up gradually and do not exercise through pain. 5) Make sure that your equipment is suitable. Seek advice from a coach or experienced paddler on your choice of paddles and boat. I know that even one session paddling with wings that are too large for my size give me painful shoulders. 6) Remember to train specifically for the rigours of your type of canoeing. 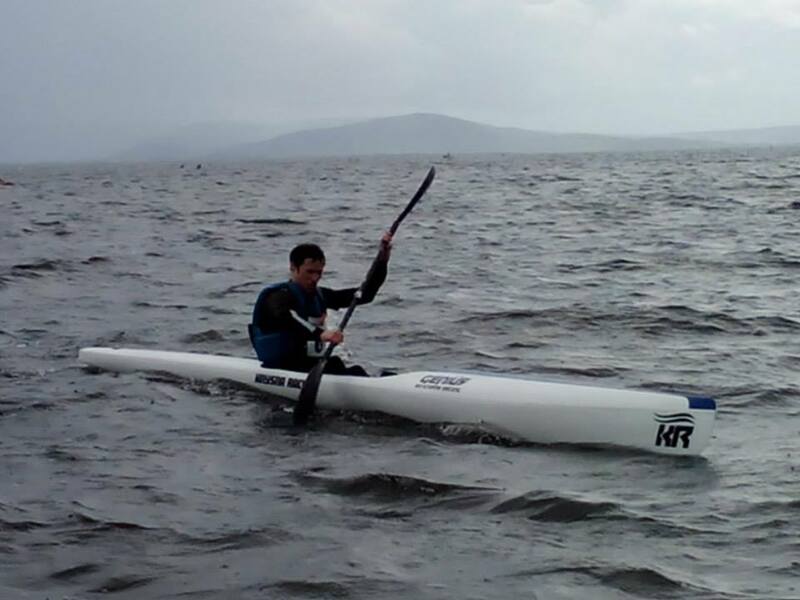 All of the different disciplines of kayaking and canoeing have different requirements and it is important that your shoulders are trained specifically for these.For example, whitewater paddlers will require sudden movements of their shoulders at the extremes of range when suddenly bracing, rolling or turning sharply in rough conditions. It is difficult to replicate these movements in an off-water environment. 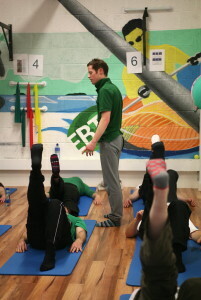 However an experienced chartered physiotherapist can prescribe exercises to help you develop strength and control in these extreme positions and to develop the robustness in the shoulders to tolerate the sudden uncontrolled and ballistic movements involved. However nothing replaces actually regularly doing the activity and steadily building up the intensity and skill level required. 6) Seek treatment or advice early. As with all musculoskeletal problems, the longer you leave it, the harder it is to treat a shoulder problem. As a general rule if cutting back on the painful activity and using rest, ice and anti-inflammatories has not settled things down after a couple of weeks then you should seek treatment. The 58% incidence of numb legs when paddling is possibly one of the most important findings of this survey as it identifies such a high incidence of a problem that in the majority of cases can be successfully treated with a course of targeted exercises. Of the 3 cohorts that have now attended my Pad-ilates programme, everyone who took part in the 8 week exercise programme reported improvements in their symptoms of numb legs. It is not always as simple as carrying out a few hamstring, calf and sciatic nerve stretches but in my clinical experience this is a problem that most people can overcome. The Pad-ilates class in action! Part of my reasoning for carrying out this survey was to get an idea of the extent of shoulder problems related to the sport. Having established this, I think this gives researchers a mandate to explore this area further and to investigate contributing factors and prevention strategies. This is an area that I am developing in my own practice and the findings of this survey have informed the latest improved version of my Pad-ilates programme. Considering the high incidence of wrist hand and finger problems and also low back pain related to paddling, I will also explore this area further and hope to develop additional online resources on these subjects. Again, I would like to thank all those who completed, shared and posted my online questionnaire. Please also share and re-post the results to help spread the word and keep checking back to the website for future developments in this area. I can be contacted via the contact page if you have any questions, queries or requests. I am always happy to come and teach a Pad-ilates class at your canoe club as long as it’s not too far a journey.